An Endangered Child Alert out of Roane County is now upgraded to a nationwide AMBER Alert. 17-year-old Haley Brandenburg was last seen in Rockwood wearing tan Adidas pants and a green shirt. Officials believe she was taken by 31-year-old Robert Garren, who’s facing criminal charges in the case. Police are searching for a beige 2006 Honda Odyssey van with Tennessee tag 240-KZS. Anyone with information on is asked to contact 1-800-TBI-FIND. #AMBERAlert: Brandenburg and Garren may be travelling in a 2006 Honda Odyssey, with Tennessee tag 240-KZS. 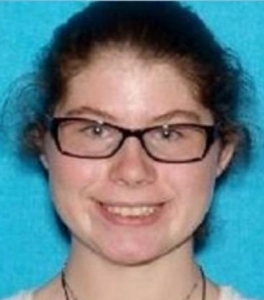 The TBI is asking for help finding a missing teen out of Roane County. 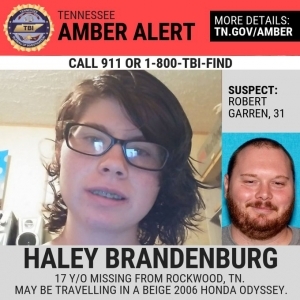 17-year-old Haley Brandenburg was last seen in Rockwood. Officials say she has medical issues and does not have her medication. An Endangered Child Alert was issued for Haley yesterday. She was last seen wearing tan Adidas pants and a green shirt. Haley is 5’5″ and weighs 120 pounds. If you have any information you’re asked to call 1-800-TBI-FIND.